Thanks to advancements in medical imaging technology in recent decades, doctors are now able to capture in seconds what used to take hours for diagnosis. MRI is a noninvasive diagnostic technique that uses nuclear magnetic resonance to produce cross-sectional images of organs and other internal body structures. 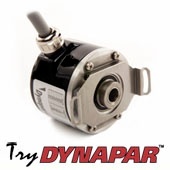 Dynapar offers a range of industry duty encoders designed to comply with FDA manufacturing guidelines for MRIs and X-Ray imaging. In x-Ray machines our encoders move water in and out of the machine, while in CT Scan and MRI machines they move patients in and out and measure the rotating speed. The H20, economical in size is the solution for your medical imaging application. 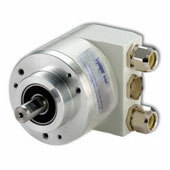 It provides a wide range of resolutions along with a hubshaft with spring tether for easy installation.